Classical Concert of Joy! The music department Loyola Marymount University presented a lovely classical concert to the residents of Marycrest Manor on January 14th, 2018. Melodies of Schubert, Bach, Chopin, and Handel surrounded those present and listening to such awe inspiring music touched their souls so deeply some were even moved to tears. On this afternoon it was obvious that musics’ power to bring a depth of experience transports the soul to realms outside itself, even into the Divine. The performance consisted of two soloists, pianist, and violinist. 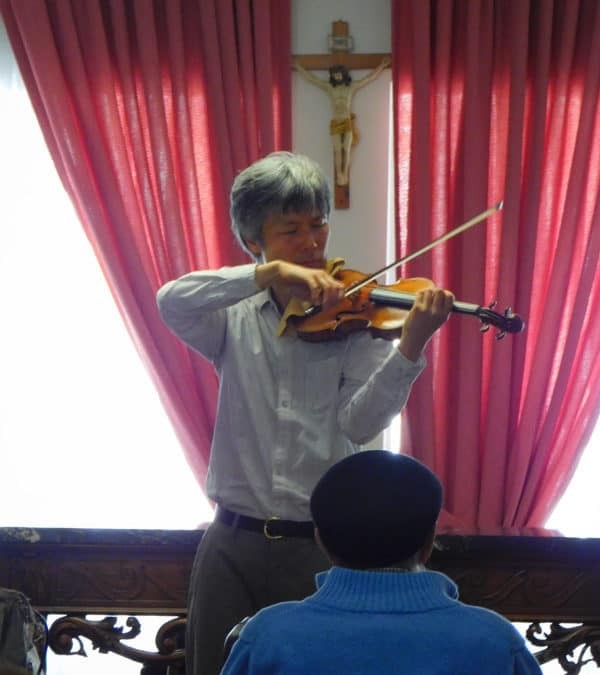 Mr. Ken Aiso performance of three violin movements was stunning, and we hope he will return to us very soon. In case you were not able to be present please listen to these lovely snippets of the concert. We hope that you will be able to come to the next performance !